Interested in getting baptized this Easter? 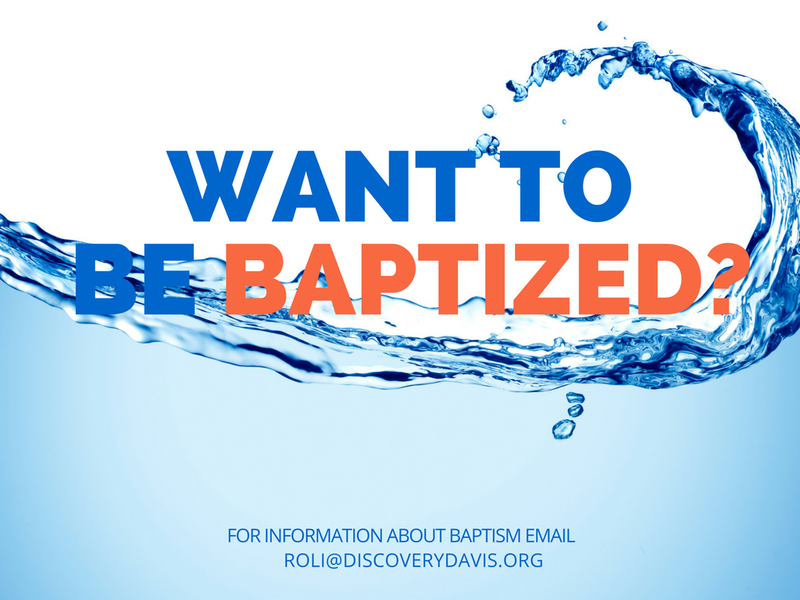 Email roli@discoverydavis.org. Baptism is a way to publicly profess your commitment to Christ. Take part in our next baptisms on Easter Sunday April 21st.